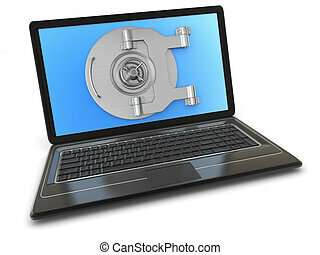 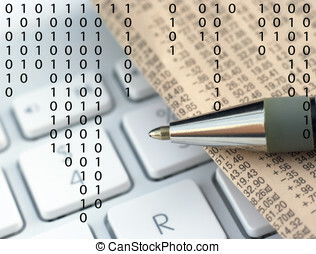 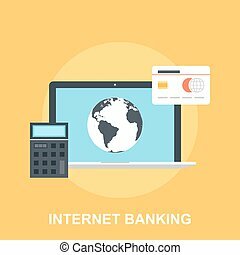 Internet banking. 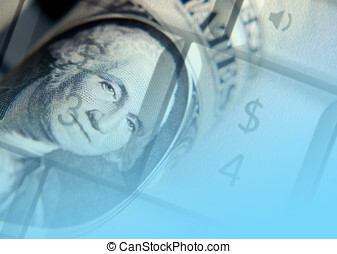 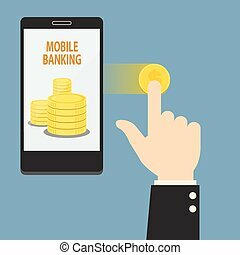 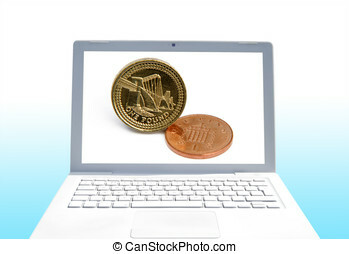 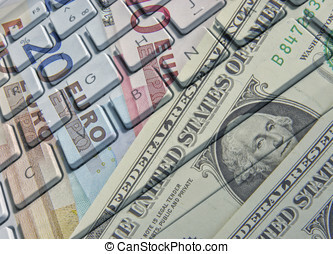 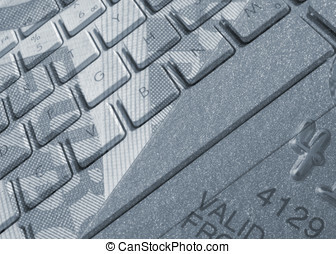 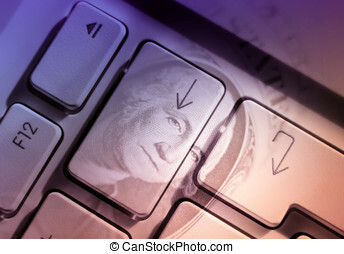 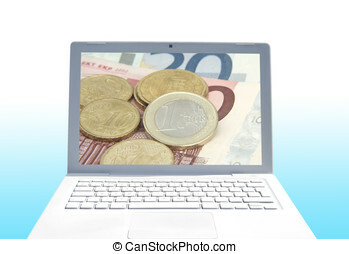 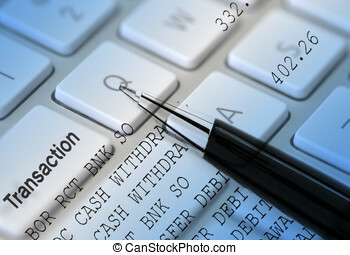 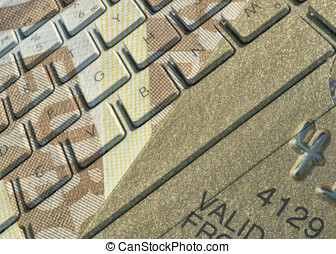 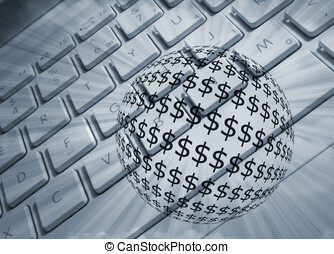 Online banking concept showing keyboard with dollar ball. 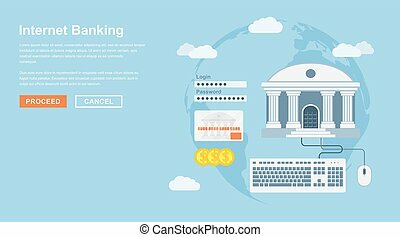 Vector illustration of internet banking flat design concept. 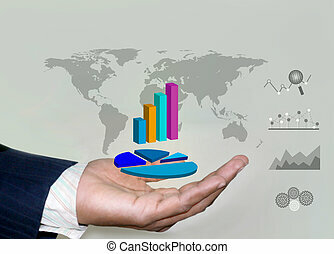 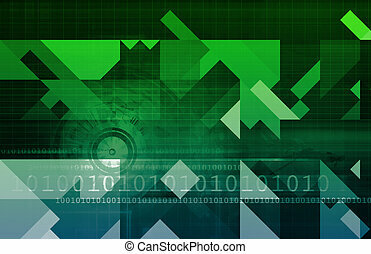 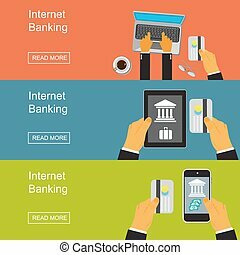 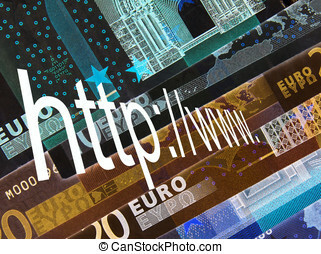 Abstract vector illustration of internet banking flat design concept. 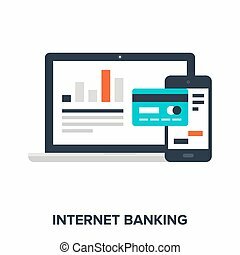 Internet Banking. 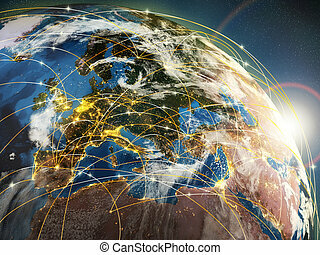 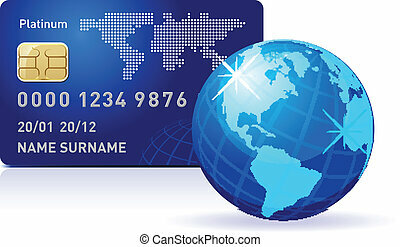 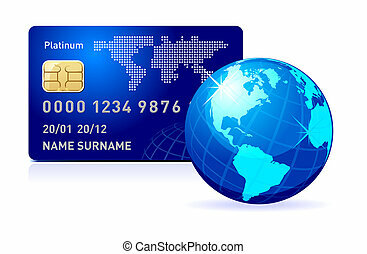 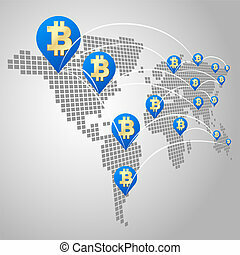 Credit card with world map and Globe. 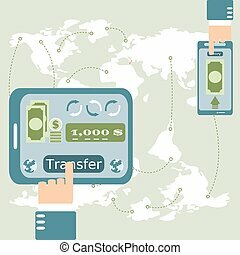 Payment concept. 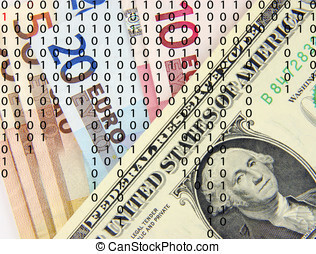 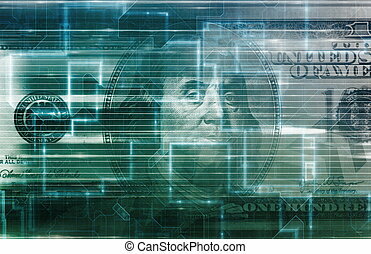 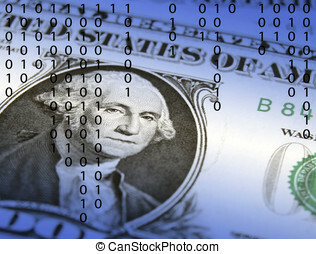 Closeup of US dollar banknote overlaid with ones and zeros. 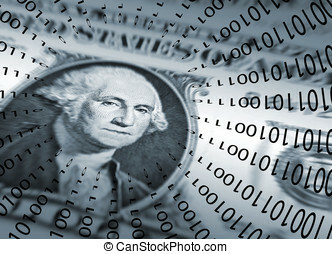 Washington on US dollar note with ones and zeros. 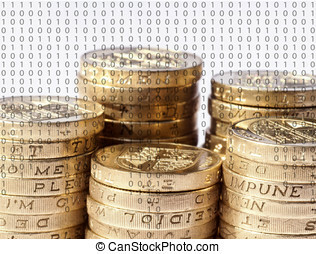 Ones and zeros overlaid on stack of British pound coins.